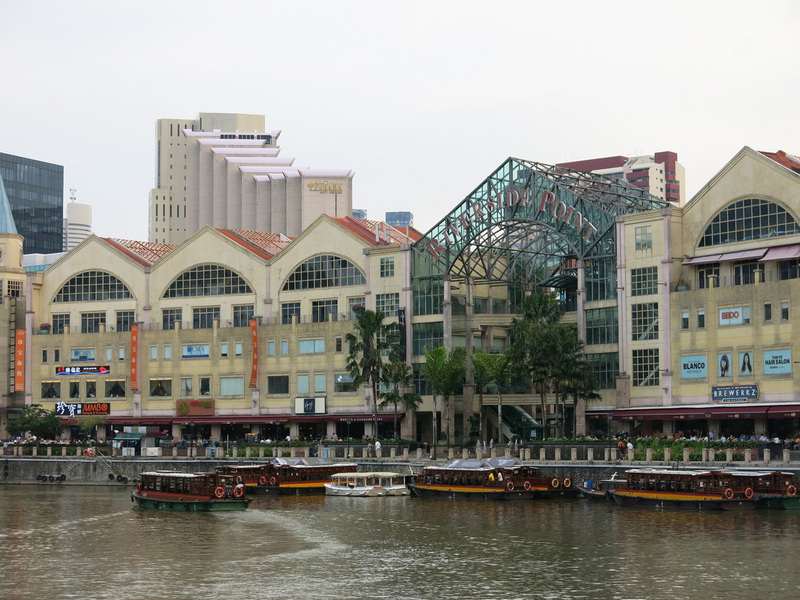 The West Side and East Sides of the Singapore River are dominated by bars, restaurants, and shops. 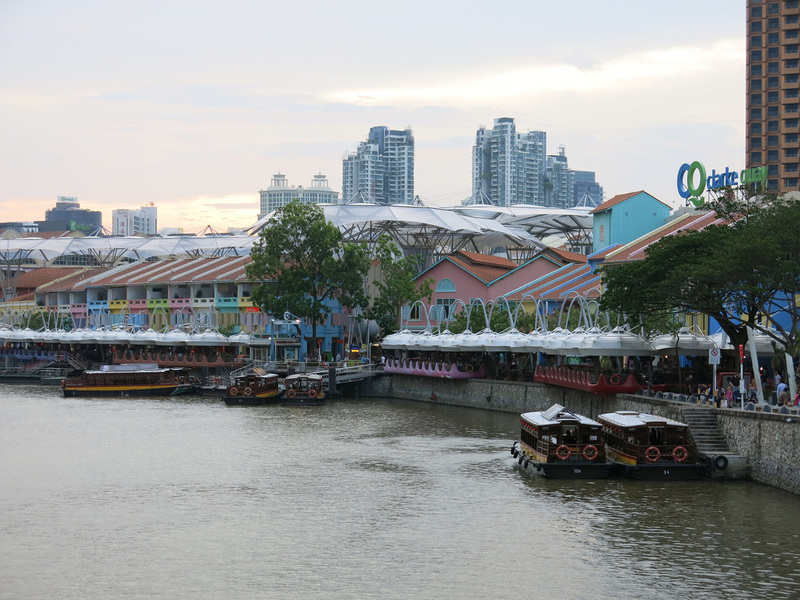 Starting at Boat Quay in the South, a pedestrian walkway leads to Clarke Quay, and eventually Robinson Quay. Most patrons tend to be Expats and Tourists although that should not dissuade anyone from enjoying a local experience. 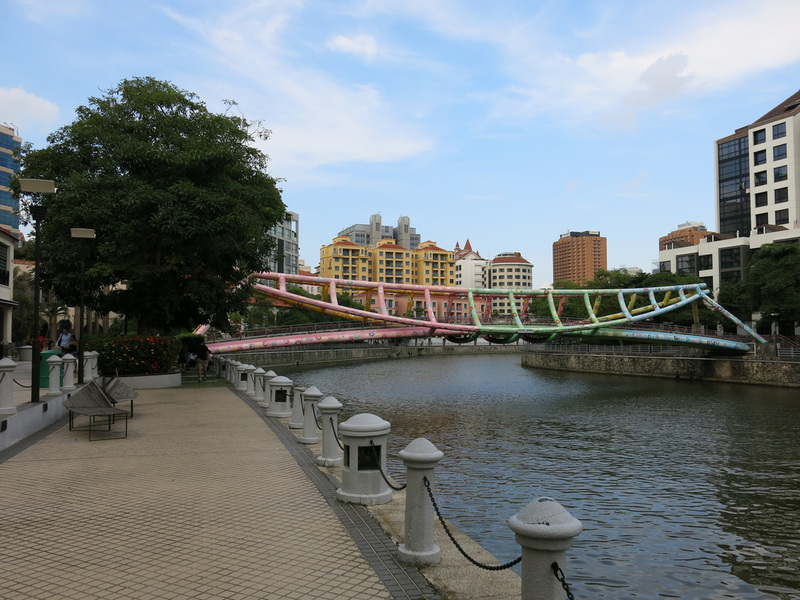 The expats and their environs are as much a part of authentic Singapore as Chinatown (probably more so), Little India, and Kampong Glam. The best way to experience the quays is on a lazy afternoon to go bar hopping from one quay to the next and enjoy Happy Hour when beers are a little more reasonably priced. The southern section is nearer the financial and downtown area and thus draws a high volume of businessmen eager for a beer after a long work week. It can be difficult to find a seat at the more popular places like Harry's and Boomarang. On the northern side is a series of seafood restaurants that I've always felt were too touristy. 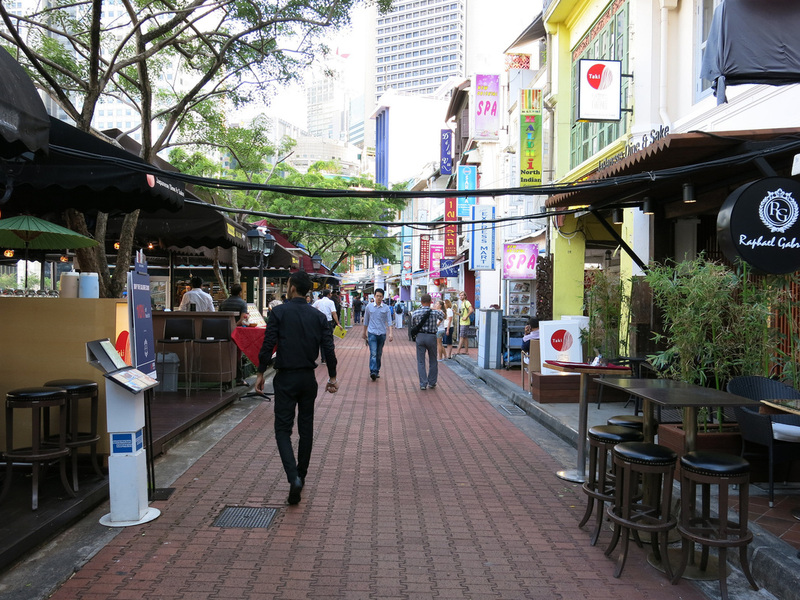 It's one of the few areas in Singapore with hosts acting somewhat aggressive for you to dine at their restaurant. 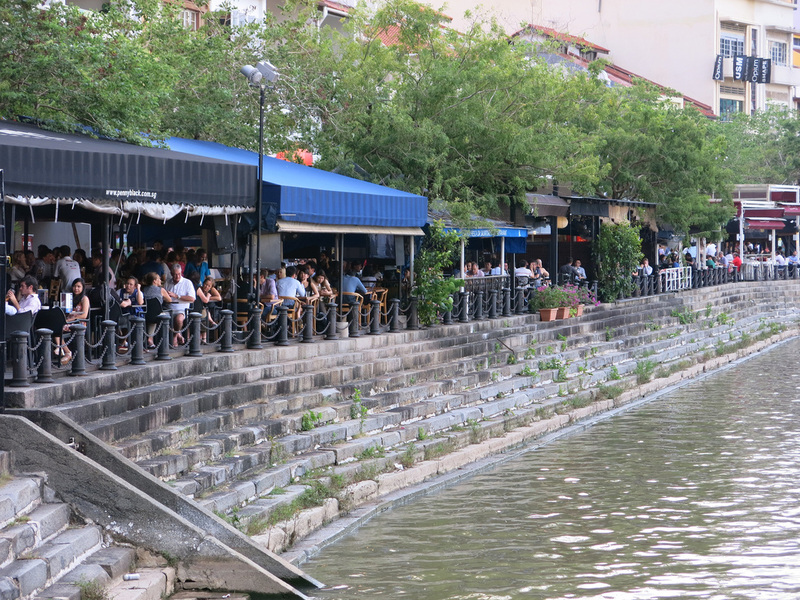 If you want to dine, there's better options further down in Clarke and Robinson Quay although the view from Boat Quay is tough to beat. Boat Quay is "around the corner" from the Marina Bay waterfront which has a lot of high end bars and restaurants with unobstructed views of the bay and Marina Bay Sands. If you are looking for a more upscale and quieter evening head here instead of continue up the pedestrian walkway to Clarke Quay. 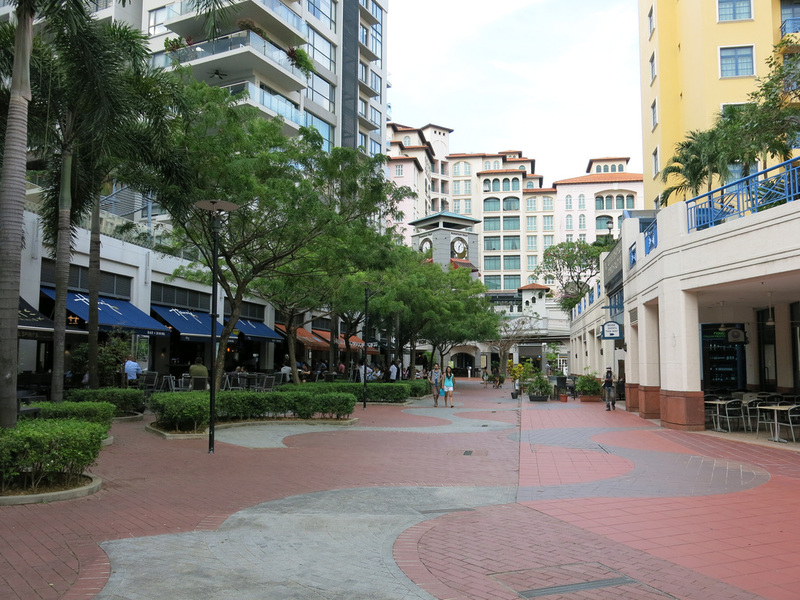 More of a residential area than Boat and Clarke Quays, the expat factor is strongest here - on any given afternoon you're more likely to see a Westerner pushing a stroller than a Chinese or Malay walking past.